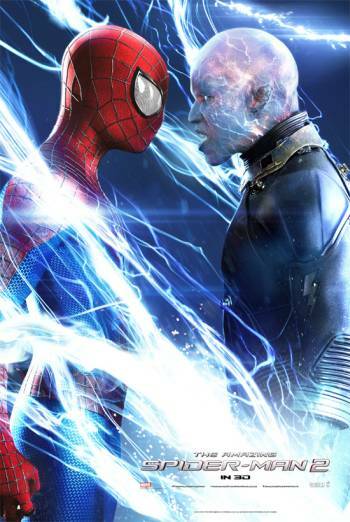 THE AMAZING SPIDER-MAN 2 is a Marvel comics superhero sequel in which Peter Parker/Spider-man takes on a new nemesis in the form of Electro. There is moderate violence and threat, with punches and blows that result in some blood on faces, as well as intense fighting between Spider-man and Electro, who fires electric currents at various characters, whilst others are shot at with tasers and guns. Human characters transform into scary looking super-villains, with close-ups on their creepy looking eyes and skin. There is also a scene in which Spider-man crash lands through a glass tower. There is mild bad language (eg 'pissed'). Sony DADC UK Limited,Premier Communications,Columbia Pictures Corporation Ltd.